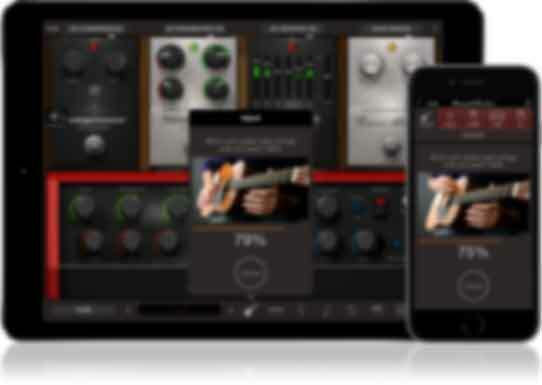 AmpliTube Acoustic is the first tone studio ever made for acoustic players. Now, thanks to iRig Acoustic and AmpliTube Acoustic, acoustic guitar players finally have a complete robust professional quality acoustic practicing, playing and recording solution that fits in their pocket. 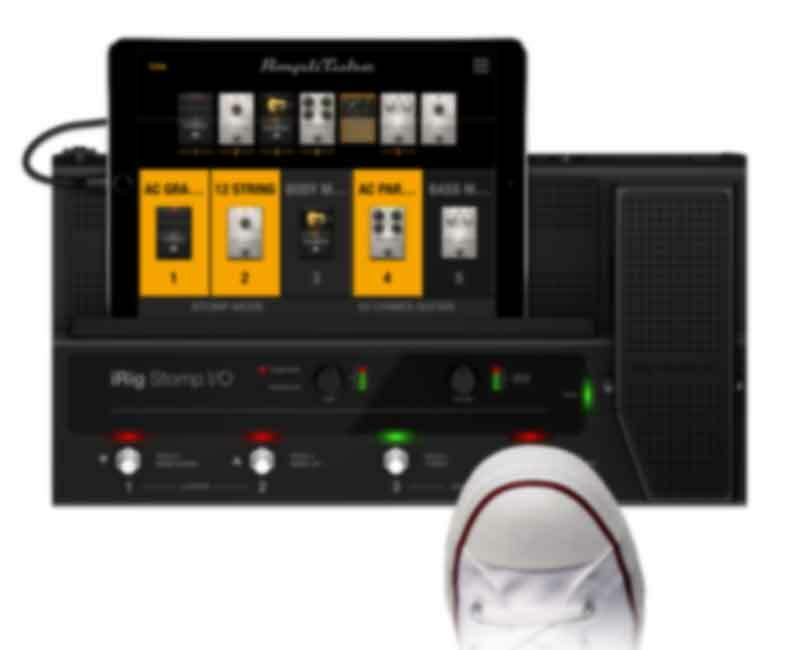 Designed to work with iRig Acoustic, AmpliTube Acoustic brings a wide array of acoustic amplifier options plus stompbox effects made specifically for acoustic playing. AmpliTube Acoustic features 3 models of popular acoustic amplifiers — two solid state amps and one tube driven. Since Acoustic amplifiers are designed to accurately reproduce the natural sound of an acoustic with no distortion, the amplifiers in AmpliTube Acoustic feature a robust built-in effects section with common effects for Acoustic instruments. When you first plug into AmpliTube Acoustic with an iRig Acoustic microphone pickup interface, you are presented with a calibration screen that will optimize the sound and signal strength coming from your guitar. This is done automatically to deliver studio quality and accurate acoustic tone from your guitar. Once calibrated and set up, you’ll notice a higher degree of sonic clarity from your acoustic with zero “boominess”. While designed and optimized to be used with iRig Acoustic, AmpliTube Acoustic can also be used with acoustics with built-in pickups and interfaces like iRig 2, iRig HD, iRig Pro and iRig Pro DUO. AmpliTube Acoustic features models of 3 of the most popular acoustic amplifiers with intuitive controls and built-in acoustic-specific effects. There are two high-end solid-state models, plus a model featuring a tube preamp. Each amp features gain, presence and volume controls, plus 3 bands of rotary EQ. Each amp model also brings a built-in set of acoustic specific effects — Solid State 1 features a selectable delay, flanger, spring reverb and chorus with level and adjustment controls, plus a 4-band graphic EQ. Solid State 2 and the Tube amp models serve up a lush reverb effect with selectable types of reverb, plus a second effect selection with 2 delays, a chorus and flanger. Both feature level and time adjustments. When you play acoustic in a live setting using microphones, you’ve no doubt experienced the dreaded Larsen effect — acoustic feedback. 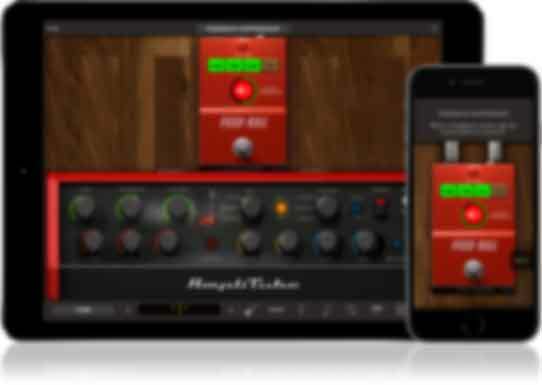 AmpliTube Acoustic helps you prevent feedback with it’s built in feedback eliminator. If feedback occurs, you simply tap the “detect feedback” button and the troublesome frequency is instantly notched out of the mix, thus eliminating feedback without sacrificing tone quality. Feed Kill features 4 individual notch filters for multiple feedback frequencies. The Stompbox lineup in AmpliTube Acoustic features useful acoustic specific effects — there’s an Acoustic Compressor, an Acoustic Graphic EQ and an Acoustic Parametric EQ for fine tuning your natural sound. AmpliTube Acoustic also features some additional acoustic effects that truly enhance and expand the tonal and functional capabilities for acoustic players. Let’s face it, not everybody has or needs a 12-string. But they’re fun to play and add that special tonal character when played on the right song or at the right time. 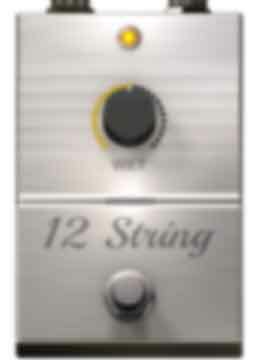 Just like the name implies, the 12-String stompbox adds an octave effect to simulate the sound of a 12-string guitar — perfect for ballads and California strumming. 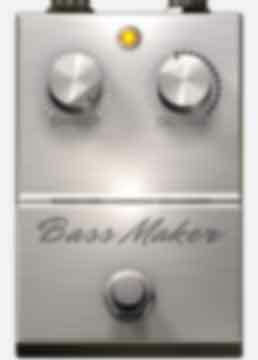 The “Bass Maker” stomp is just that, an octave down pedal that lets you play bass lines on your acoustic guitar. 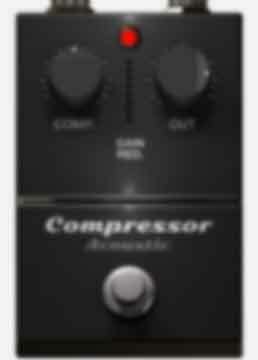 It features a direct level control and an octave level that lets you blend the direct signal with the bass sound. 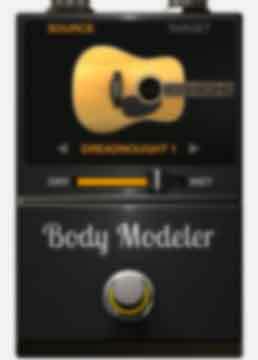 The “Body Modeler” stompbox effect transforms your acoustic into a different type of acoustic guitar. For instance, if you’re playing a Dreadnought, you can transform the sound of your guitar into the sound of a Parlor, Jumbo, or nylon string classical. It’s extremely easy to use and you can fine-tune the sound of the instrument using the EQ and Presence controls on the selected Amplifier. AmpliTube Acoustic comes loaded with acoustic preset sounds to get you started with fantastic sounds, plus you can save your own after you’ve tweaked your tone to perfection. 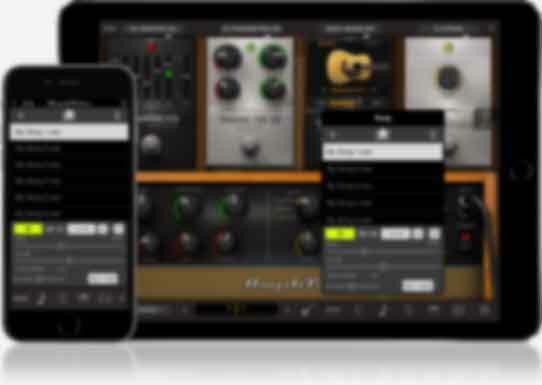 AmpliTube Acoustic features the “Song” section with speedtrainer that lets you import audio material from the device library and play along with it. You can use the speed control to slow down difficult passages for learning, set loop points in the audio to repeat, and cancel out the center frequency (usually where leads and vocals are placed in the mix) for playing along. 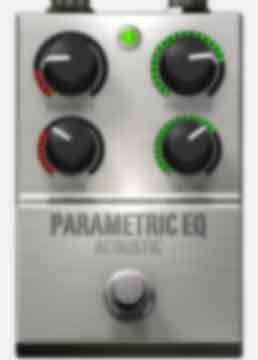 One of the handiest creative features in AmpliTube Acoustic is the built-in available 4-track looper. It's the perfect sketchpad for new ideas; it's intuitive interface that's designed for experimentation and self-accompaniment will inspire you to think in an entirely new musical way. 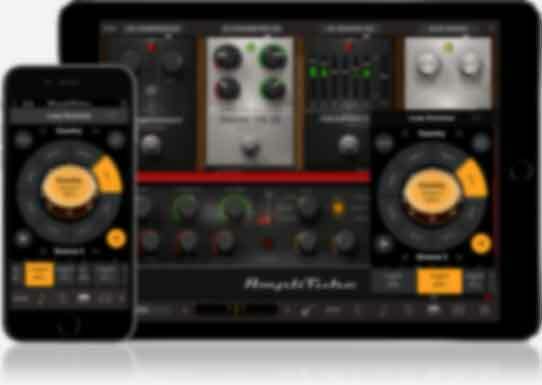 Record melodic loops, leads, percussive riffs, vocals, chord progressions and more, all at the touch of a button. 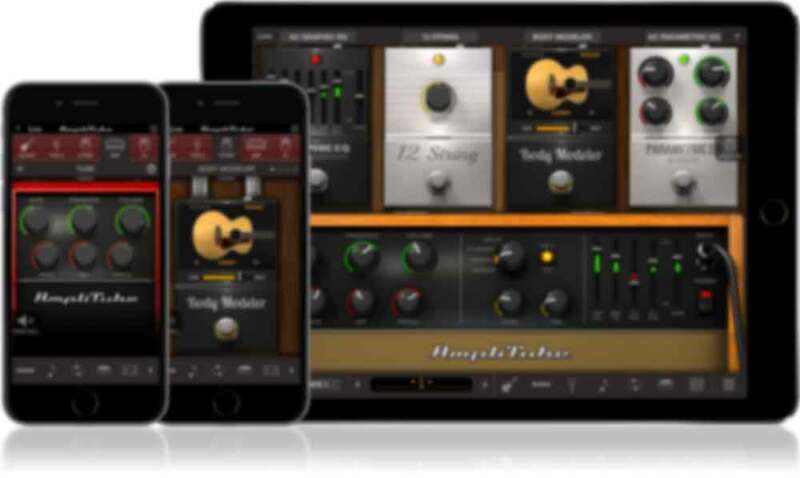 Learn more about AmpliTube’s Looper feature. Need a rhythm section that’s always in the pocket, in your pocket? Also available in AmpliTube Acoustic is the Loop Drummer feature — a full suite of grooves and rhythm that you can program to keep the beat. 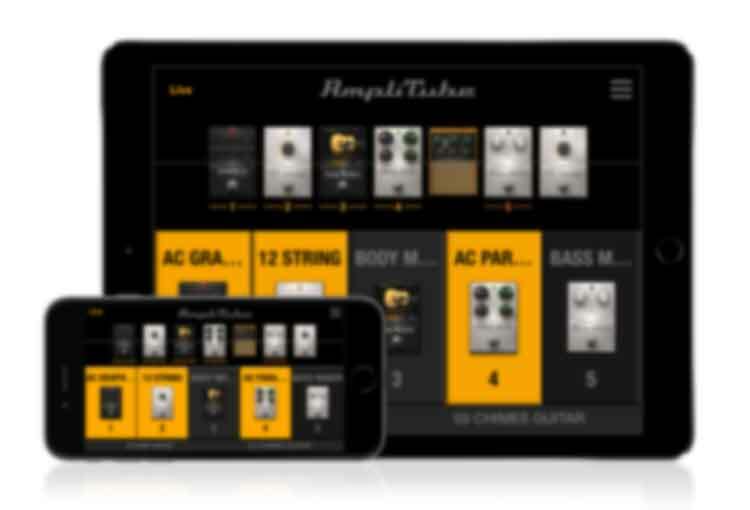 Learn more about AmpliTube’s Loop Drummer feature. 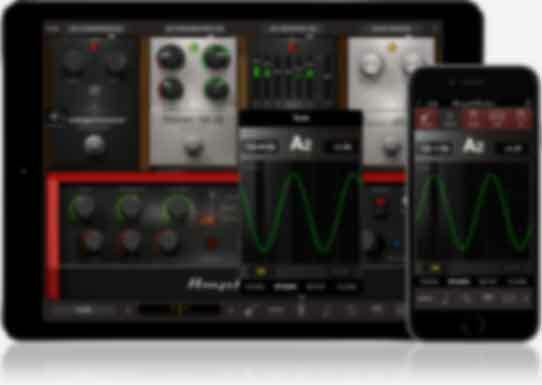 AmpliTube Acoustic also offers a complete 8-track recording solution and DAW. Now you can track complete compositions all in the convenience of one app. And it’s truly a full production solution for your acoustic mobile life. 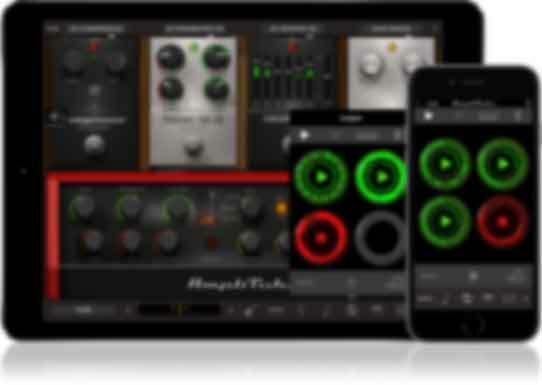 Learn more about AmpliTube’s DAW/Recorder feature. AmpliTube Acoustic also comes with a built-in chromatic tuner, plus UltraTuner – the world’s most precise digital mobile tuner — is available via in-app purchase. You also get a handy built-in metronome to keep you on time and in sync. AmpliTube® Acoustic is a registered trademark property of IK Multimedia Production. All other product names and images, trademarks and artists names are the property of their respective owners, which are in no way associated or affiliated with IK Multimedia. Product names are used solely for the purpose of identifying the specific products that were studied during IK Multimedia’s sound model development and for describing certain types of tones produced with IK Multimedia’s digital modeling technology. Use of these names does not imply any cooperation or endorsement. iPhone®, iPod touch®, iPad®, Mac and the Mac logo are trademarks of Apple Computer, Inc., registered in the U.S. and other countries. App Store is a service mark of Apple Inc.